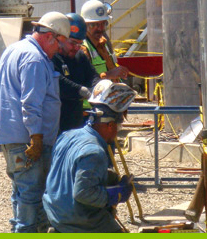 International Tanks Service designs, fabricates, and field erects API 650 Acid Tanks and API 650 Alkali Tanks from carbon steel and stainless steel. 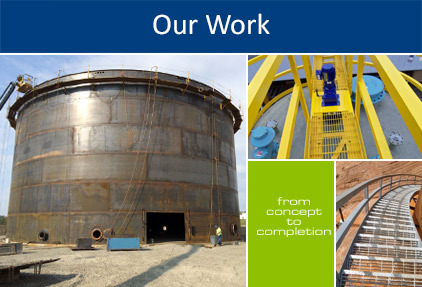 We offer a complete turnkey project from concept, design, permit, fabrication, erection & commission of tanks. We have crews available for API 653 Tank Repair & Modification work. Our services include tank bottom replacement, cone roofs, floating roofs installation, shell rings, stairs, manways, primary seals, secondary containment, coatings & insulation. We also specialize in tank foundations, jacking, leveling & moving. Custom shop fabrication & AutoCAD design is also available.